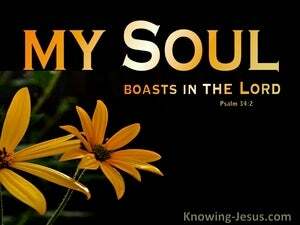 As fallen sinners, who are part of the sinful race of humanity, we have nothing to boast about. We were born dead in our sins and are estranged from the God Who created us. We fall so far short of the glory of God, that prideful boasting and a self-inflated ego should never become part of the imagination of our hearts. Worship and praise should be on our lips from morning to night, for the Lord our God is with us in every season and situation of life. 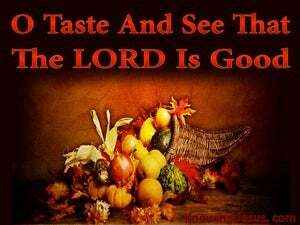 Reverential praise and grateful thanks should be the watchword of every Christian.. both individually and corporately. 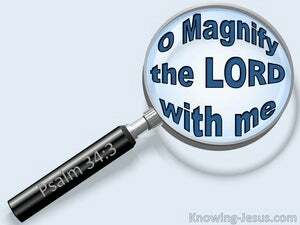 No wonder the Psalmist excites those around him to come, and magnify the Lord with me, and let us exalt His wonderful name together. It is the Holy Spirit of God that imparts life into the dead spirit of man, and it is that same Spirit of life that broods over the child of God, and breathes hope into the heart and life into the spirit of those that trust His name. 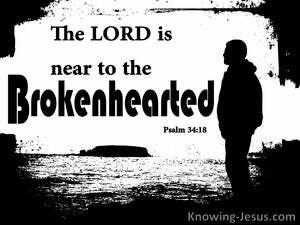 David was a man who experienced this closeness to the Lord. 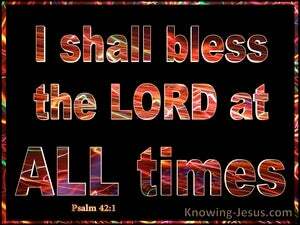 He was a man who blessed the Lord at all times, and songs of praise were continually on his lips. Over and again in the Bible we discover wonderful ways that the Lord delivers His servants from their afflictions and saves them from the hands of their enemies, which was the reason that David penned this verse of great joy and rejoicing: O taste and see that the Lord is good, was his joyful song, how blessed is the man who takes refuge in Him. This Psalm is a beautiful testimony of salvation - by grace through faith in the Lord. It begins with an explosion of praise and thanksgiving, where David proclaims God's goodness and grace.. and calls on each one of us to extol His holy name, and trust in His everlasting mercy. Our God and heavenly Father deserves our ongoing and eternal love and praise, because He has shown Himself to be a God Who cares for His people, and Who delivers them out of all their difficulties. 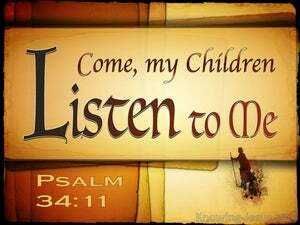 He hears those that call on His name. 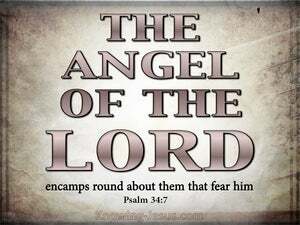 He delivers His people from all their fears and He comforts those that are encompassed with sadness and disappointments.